There was a time when retail expansion packs were expected whenever a PC video game reached a certain level of success. Thanks to the rise of console systems and the ease at which content can be delivered digitally, the content-rich expansions we grew up playing through are nearly a thing of the past. I say nearly because next week we'll be receiving Awakening, a standard off-the-shelf addon for last year's excellent Dragon Age: Origins. GB: How seamlessly will the Awakening expansion pack tie in to the original content? If we start a brand new game, can we venture between the overland maps as we please? Can our previous companions join us in Amaranthine, and can the new companions return to help us defeat the Archdemon? 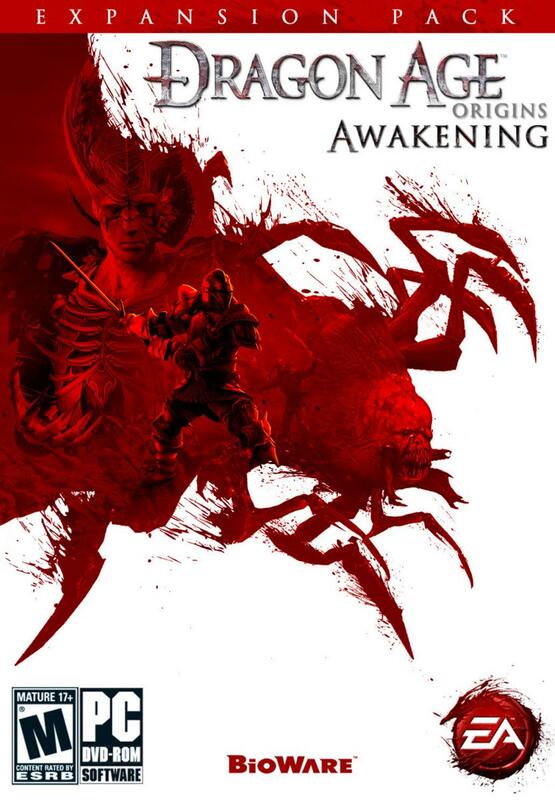 Ferret: Awakening is like a new book in the Dragon Age series. It takes place several months after the Archdemon's death in Origins and seamlessly picks up from there. You can't go back to Origins with the new companions or visit the old haunts because Awakening happens afterwards. Don't worry, though, because there's plenty to keep you busy. Although the Archdemon is dead the darkspawn aren't fleeing to the Deep Roads like they should and there are ominous rumors that the darkspawn are acting very odd tales of horrifying new critters and darkspawn that talk, if you could believe that. There is a new cast of memorable characters to meet, and in some cases recruit. Oghren returns as a companion for Awakening and several of your old friends have cameo roles, as well. You'll need all the help you can get to stem the tide of darkspawn that once again threaten to envelop the land. GB: What should we expect when starting a new character in Orlais? Is there an "origin" section that's only playable by new characters? If so, how does it compare in terms of size and scope to the original origins in the base game? Ferret: The new Orlesian Grey Warden isn't an origin like we had, well, in Origins. It's a background option that adds color to your experience playing through Awakening. Since the invading Orlesian Empire were only thrown out of Ferelden a few decades ago, the memories of occupation and Orlesian cruelty are very fresh. Unsurprisingly, some people will react quite differently to the new Orlesian that is not only the Warden Commander of Ferelden, but also the arl of Amaranthine a landed noble of a good chunk of the kingdom. GB: Tell us a bit about Vigil's Keep. What makes this stronghold a good location to begin rebuilding the Grey Wardens? Ferret: The previous ruler of Amaranthine, Arl Rendon Howe, ruled Amaranthine from his fortress of Vigil's Keep. When the arling was granted to the Wardens at the end of Origins, it is only logical to occupy the arling's fortress. Although Vigil's Keep isn't as populous as the city of Amaranthine it is the mightiest fortification in the arling. And with the darkspawn cloud gathering on the horizon, using it as a base of operations is not only wise in order to install a sense of continuity for the populace but potentially it could be vital just to survive. Vigil's Keep has seen better years Arl Howe's ambitions and attention were more focused towards Denerim and the whole kingdom, so there's plenty to do in order to rebuild and make it a resplendent home for the Wardens. Or you can leave it in its state of disrepair. You're the ruler of your lands, this choice and many others are yours to make.